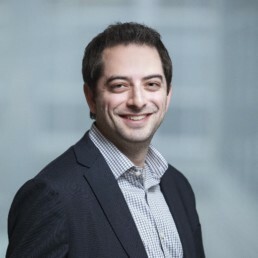 Dr. Jonathan Mandelbaum joined Accelerator in 2015 to focus on investment opportunity sourcing, due diligence, new company formation, project management, and corporate business development across the Accelerator portfolio. He has supported the oversight and management of several Accelerator portfolio companies, including ApoGen Biotechnologies, Coba Therapeutics, and Lodo Therapeutics. Prior to joining Accelerator, Dr. Mandelbaum worked in a variety of scientific roles within the drug discovery unit at Millennium: The Takeda Oncology Company, where he led several novel target programs in the early discovery pipeline, and collaborated closely with the business development group to support the evaluation of external partnering and early-stage in-licensing opportunities. He also completed his postdoctoral work at Millennium, where he supported mechanism of action and predictive biomarker discovery work for a late-stage drug discovery program. Dr. Mandelbaum obtained his Ph.D. with Distinction in Cellular, Molecular and Biophysical Studies from Columbia University and received a B.Sc. with Great Distinction in Biology from McGill University.